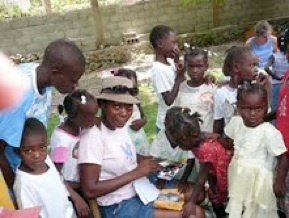 Life and Hope Haiti, a tax-exempt non profit organization, was formed by a Haitian American woman who wanted to give something back to her homeland. Since 2001, the organization has built a schoolhouse and educated children in Milot, a town in northern Haiti, the poorest country in the hemisphere. Most of these children would not have gone to school without the work of this organization. In addition to giving children the education so necessary for any underdeveloped country to progress, Life and Hope provides meals and medical care. The organization is now working on building a link to high school for motivated children, as well as an orphanage for children left without parents. 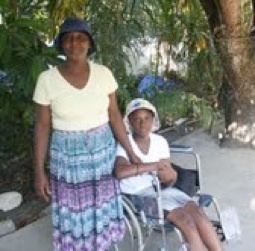 Allyn is one of hundreds of students, teachers and residents of the Seacoast area who for years have supported a school in Milot, Haiti, through Life and Hope Haiti, a nonprofit grassroots organization based in Long Island, with its sponsorship program based in South Berwick. A Latin/Caribbean Dance Party featuring the music of Combo Sabroso will benefit Life and Hope Haiti March 27 t the VFW Hall in Portsmouth. A slide show and talk will feature pictures taken by local residents in Haiti, including photos of relief efforts and rubble after the earthquake. 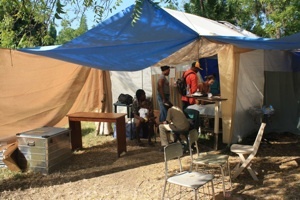 Pictures will show local donations being put to good use in Haiti. Although Life and Hope’s school was not directly hurt by the earthquake in the south, the sister of the school’s founder runs a home for the destitute that was decimated, leaving the surviving 130 residents ages 8 to 109 without care or shelter five miles from the epicenter. 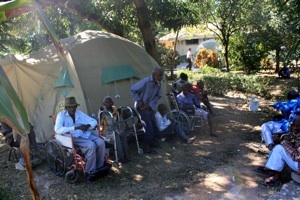 Ticket sales will help pay to rebuild the Asile St. Vincent de Paul in Leogane, this home for the elderly, disabled and orphaned residents. Combo Sabroso, one of Boston's top Latin bands, features UNH grad Matt Jenson and local sax star Matt Langley. The slide presentation will begin at 7 pm with pictures by Amy Miller of South Berwick and Agnes Charlesworth of Kittery Point. Music, dancing and a cash bar will run from 8 pm on. Seacoast area residents are sponsoring several dozen children at Life and Hope’s Eben Ezer School in Milot and the South Berwick Eliot Rotary last year raised $4,300 to buy books for the school. Within two weeks after the earthquake, South Berwick and Eliot elementary students and teachers had raised $4,000 for relief efforts. Mitchell Elementary School children in Kittery raised more than $2000, and Marshwood Middle raised another $4,000. 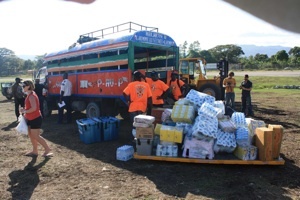 Although the first few weeks after the earthquake brought in huge donations of funds, supplies and even planes\, most of this has dried up. Life and Hope is committed to continuing to fund the 8-year-old school in northern Haiti, providing the education critical to the country’s future. 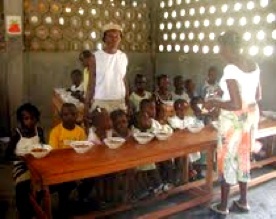 For more about this organization, go to www.lifeandhopehaiti.org. 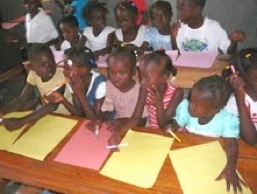 Also see articles about local efforts to support Life and Hope at the Maine Friends of Haiti website: http://www.mainefriendsofhaiti.org/mainefriendsofhaiti.org/Life_and_Hope_Haiti.html. Tickets are being sold at Black Bean in Rollinsford, Ceres Bakery in Portsmouth or Fair Tide Thrift Store in Kittery. 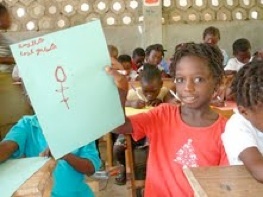 Checks, made out to Life and Hope Haiti, can also be sent to PO Box 185, Kittery Point, Maine. Tickets cost a suggested $20 donation, but will be sold for the amount people feel they are able to spend.. Only 200 people will be able to fit in the hall. 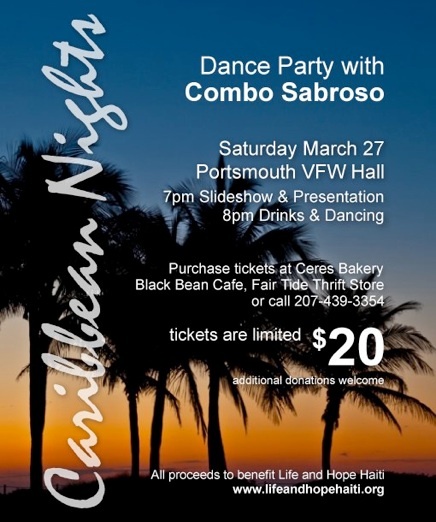 A Latin/Caribbean Dance Party featuring the music of Combo Sabroso will benefit Life and Hope Haiti on Saturday, March 27, at the VFW Hall in Portsmouth. A 7 pm slide show and talk will feature pictures taken by local residents in Haiti, including photos of relief efforts and rubble after the earthquake. 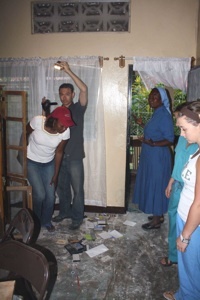 Pictures will show local donations being put to good use in Haiti. Dancing will start at 8 pm.